Sisters at Heart (SAH) is a weekend of celebration, learning and fun with other breast cancer survivors and their supporters. Teams from Canada and the United States have an opportunity to improve paddling skills and compete in ERDBA sanctioned races on Saturday and Sunday. 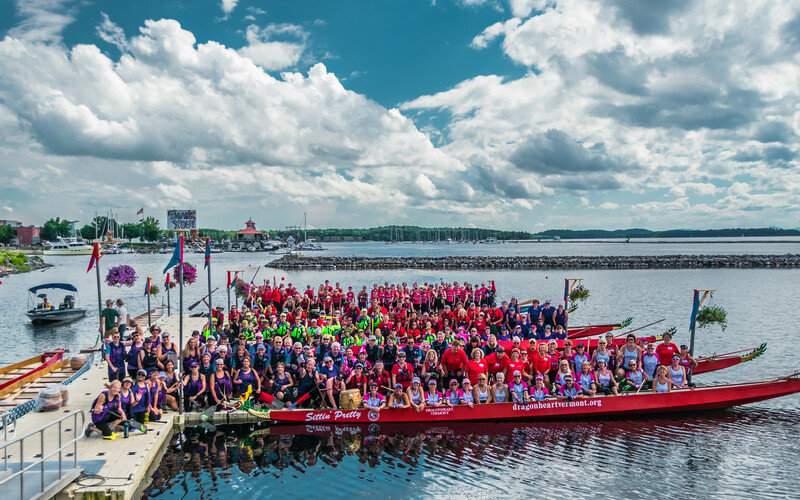 The 2019 Sisters at Heart Celebration will take place on Saturday, August 3, 2019, the day before the Lake Champlain Dragon Boat Festival. Join us for a weekend of sisterhood! Registration for Sisters at Heart opens in February 2019.